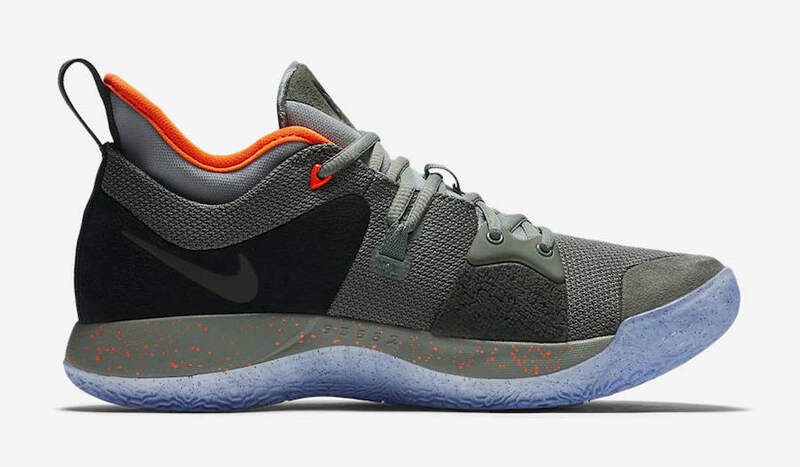 Adding to the Nike Basketball 2018 All-Star Collection is Paul George’s second signature shoe, the Nike PG 2. Looking to Paul George’s hometown of Palmdale for design direction, these colors represent the various aspects of the Inland Empire. Grey represents the desert and dust of Palmdale, while Orange is meant to highlight the sunset on the horizon. The pop of Green is a nod to the nature around this area. Lastly, the sockliner features a custom graphic of Palmdale, and a grit out and midsole highlight the city’s terrain. Look for the Nike PG 2 “All-Star” to release on February 15th at select Nike Basketball retailers and Nike.com. The retail price tag is set at $110 USD. UPDATE: Detailed photos of the “All-Star” Nike PG 2 via GC911.